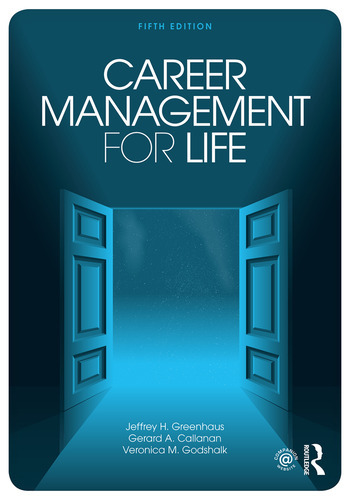 Career Management for Life provides students and employees with an integrative approach to managing their careers on an ongoing basis to achieve a satisfying balance between their work and their family responsibilities, community involvement, and personal interests. The career management model guides individuals through the different phases of their career from figuring out what their first job should be right to navigating the road to retirement. An emphasis on attaining work-life balance, a topic that is of growing concern to workers at all stages of their careers. An updated focus on today’s career contexts and stages. Material on technology and social media, now integrated throughout the book, to reflect the growing importance of these tools in career management and development. A chapter on international careers, helping individuals face a globalized world. Greater emphasis on alternative career paths, reflecting the newest trends and helping individuals understand all the different career options available to them. This rich and engaging book will help individuals understand themselves better, which in turn allows them to understand what they really want out of their career. Those taking (or offering) classes in career management or career development will come to rely on this book for years to follow. Jeffrey H. Greenhaus is Professor Emeritus in the Department of Management at Drexel University’s LeBow College of Business, Philadelphia, PA, USA. He has published extensively in the areas of career management and the work-life interface, and, along with Gerry Callanan, co-edited the Encyclopedia of Career Development. Gerard A. Callanan is Professor of Management in the School of Business at West Chester University, West Chester, PA, USA. His research on a variety of management topics has appeared in a number of scholarly publications. He is co-editor (with Jeff Greenhaus) of the Encyclopedia of Career Development. Veronica M. Godshalk is Professor of Management at the Pennsylvania State University in Media, PA, USA. Her research and publications focus on careers, mentoring and plateauing, as well as pedagogically-oriented topics. Dr. Godshalk is Program Coordinator for Penn State’s online BS in Business program.